Someone posted on an online Buddhist forum, and said that they did not understand the three bodies teaching (the “Triakaya”) . It is perhaps understandible that this is difficult for people who are not Buddhist scholars to make heads or tails of. Originally, they were considered three different spiritual forms that the historical Buddha could take, one of his mythical miraculous powers, like his “all seeing wisdom eye” or some such. 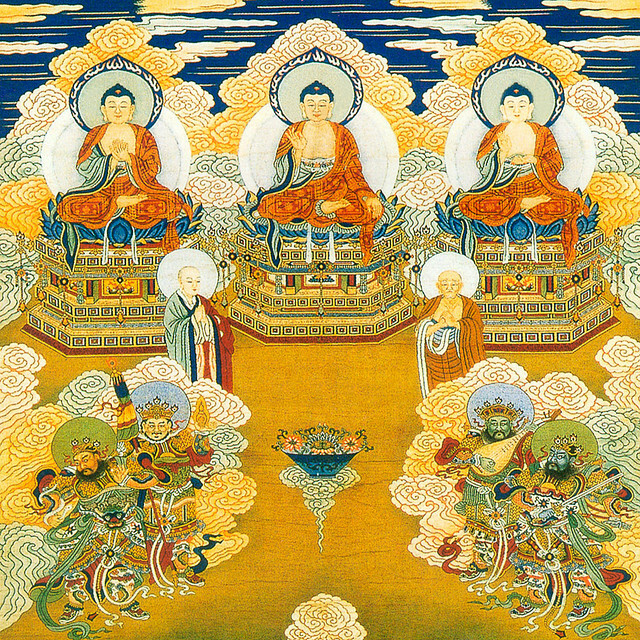 As Buddhism got more religious, around the time of the rise of the Mahayana school , mythical Buddhas of past, future, and other realms became part of the worship, and they were also seen as being able to take on those three bodies. The Nirmanakaya is manifest reality: trees, staplers, oceans, people, chicken mcnuggets, june bugs, nuclear reactors, BMWs, MC Hammer CDs, galaxies, etc. The Sambodakaya is the level of psychic experiences: dreams, visions, Gods devas and demons, siddhis , etc. The Dharmakaya is the absolute: God/Mind/meta-consciousness (the dreamer of the world-dream) on a more shallow level, and void/Shunyata/Zero/nothing (the substance/essence of the dream) on the deepest level. 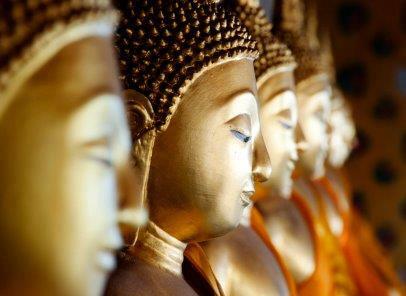 The arahant / Theravada /vipassana path is to leave the Nirmanakaya, drill through the Sambhogakaya with as few detours as possible, and manifest the deepest level of the Dharmakaya as rapidly as possible. The Zen bodhisattva path is to do the same, except to (as at the end of the ox herding picture series ) come back to the Nirmanakaya, with the ability to freely travel between the three realms without viscosity or friction, as benefits the liberation of other beings. The Vajrayana bodhisattva path is similar to Zen, except that it involves a lot of time spent gaining familiarity with and skills in the Sambhogakaya levels of reality.